“(Translated by Google) The best recommendation letter of any business is your job. “The insurance for the car that rear-ended me sent me to this shop. Everyone was very personable, and the repairs to my car looks good. I found a small issue when I picked it up, but they repaired that too. “Drunk driver wrecked the front end of my car and I didn't know what to do. A good friend of mine recommended me to go here and wow they are great! I have a $1000 deductible and they waived almost all of it! They detailed the whole car as well. My car looks so good you can't even tell that it was in a wreck. “I must say I am extremely impressed with how your shop is run. I have been ripped off by taking the lowest bid without any reviews, and have received the worst service, lies and delays from the shop my Insurance company suggested. This time I was referred by my agent. From start to finish I was treated with respect for my time and kept in the loop. For those of you who may be reading this, if you don't know how to select a shop or have had a bad experience in the past, you can't go wrong with LG Collision. They are as advertised. “WOW!! Just picked up my car, fantastic body work. My car is a new Toyota Camry 2014, with a special paint job and you would never notice that it was every damaged and the paint job was PERFECT! They even washed and cleaned the inside of the car..If your looking to have your car repaired this is the place to bring it. Not only did they do a GREAT job, they saved me a lot of money and saved me on my Deductible. They kept me informed by phone the stages of my repair. And the car was finished on the date they told me it would be done. This was very helpful because I,m so busy and use my car for work. They did a wonderful job on my car and if your like me you want your car done right. The owners and help, what can I say the BEST!! You will not be disappointed. If I could rate them 10+ I would. “LG Collision attracted my attention because they work with you and your insurance company to PAY YOUR DEDUCTIBLE. I took my car in from Gilbert to Chandler because I heard the customer service and body work was exceptional. I could not agree more. This business is family owned and operated and they truly care about the customer and their customer's level of satisfaction. This alone sets them apart from all other body shops. I did not plan on leaving my vehicle at the shop but I gave them my paperwork and they took care of all of the insurance mess so I wouldn't have to. It was so nice to not have to keep playing phone tag with my agency. LG Collision also offered me a ride home which was about a 45 minute trip one way and the owner, Luis Gonzalez, personally drove me home. I just don't think you can possibly get better service. “So I guess I need to mention I have had 2 cars there three times over the last 6 months, none of these repairs my fault. “We had a small accident that caused some damage the rear of Kia Soul, we shopped around to try and find the best price since we didn't want to claim it on insurance. We checked three other body shops and they each wanted to charge us 1300+ for the repairs, we found out about LG Collision from a google search and all the reviewed were good so we called Luis up and got a bid. I have to say that the professionalism and quality of their work was amazing, my car looked like new and they even delivered and detailed it for me. All of this on top of coming up over 600 dollars cheaper than everyone else. 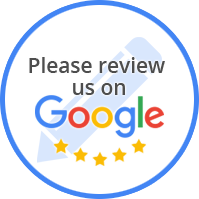 We will definitely use them again and will recommend them to everyone. “It's been over a year since I was here and promised to leave a review. Why wait that long? One benefit is that I can say that the work done has stood the test of time and other than the title it would be hard for someone not very well versed in used cars to tell it was ever in an accident. The process of working with LG was very good with some phone tag, but not excessively so. There were complications from the kind of accident it was and insurance companies involvment that caused delays plus the difficulty of getting parts from Japan at the time made it hard to get a handle on how long it would take for me to rent a car for. In the end they helped me out on the deductible as their site says and a few days car rental so It was fair. I'd be more than happy to take a car back here should the need arise and I'm pretty sure you'll be in the 4-5 star range when you do. For repair/replacement-type reviews, I tend to wait a few months before commenting. But after about 3 months, their repair to my Mustang is holding up very well. They took steps to further brace and secure a new aftermarket bumper and paint matches perfectly. Suspension and other non-body work had to subbed out, so there was quite a bit of delay and phone tagging. Emails were hit or miss too. In the end, I also had to remind about their 'pay your rental car' coverage they advertised. A longer process than we thought needed, but it ultimately worked out well. Luis and Mike were very easygoing and truly made sure we were happy as reasonable through the process. Every detail about their in-house paint/repair was gone over thoroughly so that the detail was clearly understood. There were no surprises, except that their work was better than a few W Valley shops I've worked with. “If you need body work, this is the place to go! 1) The owner, Luis Gonzalez (LG), personally drove to my place of work and checked out what needed to be done. 2) LG helped coordinate my rental car (which insurance covered) so there was no time without a car. 3) LG took my car and drove it to his shop, so I did not have to take time out from work to go there. 4) When the car was ready, my car was returned, looking good as new, to where I work. The interior was clean and vacuumed, with paper floormats having protected the floor from dirt, and the exterior was totally clean; the windows were all cleaned inside and out. 5) LG then drove my rental back to the agency, saving me from having to return it and lose more time. 6) Best of all, he saved me money, so my out of pocket expense was lower than my deductible! “Still 5 stars in my book!! They found damages on my car that I am sure would have been missed. After 10,222.00 worth of damages and 42 days (not their fault, VW slowed them up on parts)...my 2013 GLI looks as good as new. I HIGHLY recommend the team at LG!! “The quality of work I received on my Honda CRV was outstanding. From my first phone call to our final goodbyes everything went smooth, on budget and on time. LG is a little bit low key when you first come in...I later learned it is because they let the quality of their work do the talking for them. I wondered how is it possible for a company to get so many 5 start ratings...Now I know. I rated them all 5's across the board. If you are looking for a body shop...stop looking. LG is the right company for you hands down. Thank you LG for a great experience and for taking such good care of my car. Kudos! I wish I could show the amazing work they did. Kudos LG! I am still on cloud 9. “Excellent, personal service. I even got a ride home to get my ID and then to the rental car location. Quality of work was spot on! I'll never go anyplace else for bodywork.